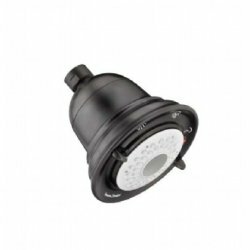 Our guide to Bathroom Faucets offers detailed descriptions of companies such as Gulfstream Whirlpool Bath and St. Thomas Creations. Lacava, located in Chicago, draws from its Italian roots and imports its designer wash basins and faucets. Bathroom cabinetry and furniture is made in the US. Sinks, vanities, cabinets, faucets and accessories come in contemporary and traditional styles. This Dalton, Georgia, manufacturer sells its whirlpools and hot tubs direct via its website. A wholly owned subsidiary of The Home Depot, Inc., Elizabethan Classics markets a line of cast iron and acrylic clawfoot tubs, bath faucets, Victorian style water closets, pedestal and console sinks. West Coast distributor of Whitehaus sinks also sells its own brand of fireclay and bamboo sinks. Born 25 years ago to market a new invention -- the pull-out kitchen faucet -- Kohl now manufactures an extensive line of luxury kitchen and bathroom faucets, sinks and accessories. Swedish company has parlayed itself into an international sensation with mega-stores in 44 countries. Knock-down kitchen cabinets, countertops, sinks, faucets, appliances, lighting, bathroom vanities and furniture among the offerings. Manufacturer of high-end kitchen and bathroom faucets and accessories in contemporary and reproduction antique styles. Well known maker of kitchen and bath faucets since 1947. Website offers full catalog with specifications and online sales as well as pointers to retailers. 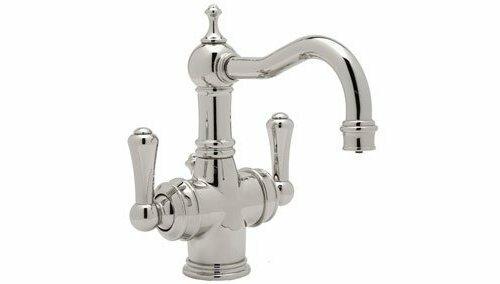 This global company offers kitchen and bath faucets in the European style. On its website, it sells matching accessories such as towel bars and holders. Leading manufacturer of faucets for home kitchens and baths. Delta faucets are also sold under the Peerless and Brizo labels. Leading manufacturer of kitchen and bath faucets, pedestal sinks, low-water consumption toilets and many other plumbing products for both the residential and commercial markets. Filtered water for your tooth brushing pleasure. Fashionable showerhead saves water without sacrificing performance.